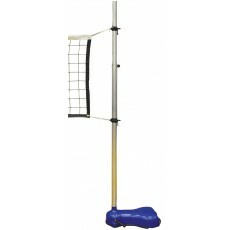 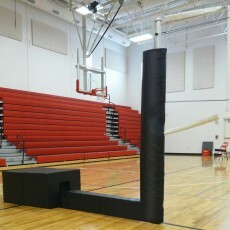 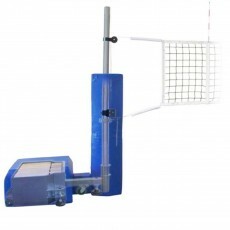 Portable volleyball net systems are the perfect solution when floor sleeves or floor anchors are not possible or desired. 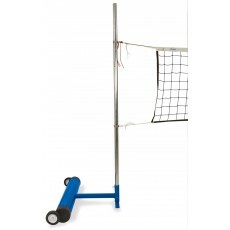 These free-standing volleyball systems are equipped with wheels on the base units, which allow for easy maneuverability around the gym by just one person. 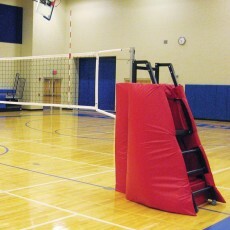 The base units can be folded flat for compact storage, and the upright posts can be removed for transport through a doorway. 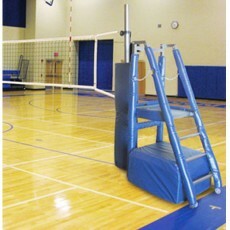 Second floor net systems can be used for competitive play and meet NFHS specifications - look for this designation on appropriate systems. 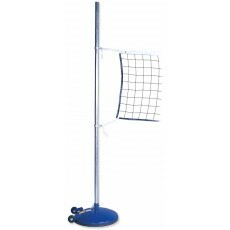 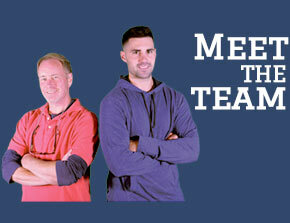 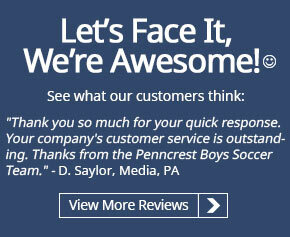 Several of our portable volleyball net systems meet NCAA, USVBA, NFHS and FIVB requirements for play. 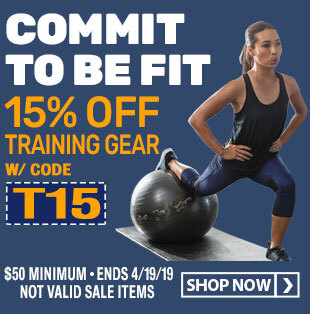 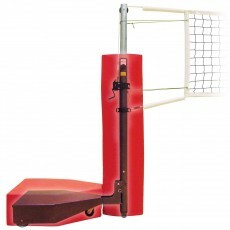 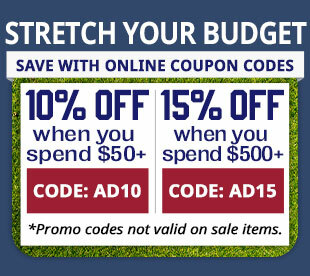 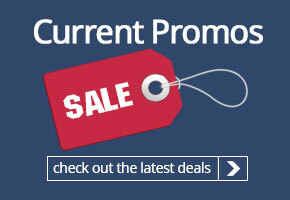 Shop our selection online or call one of our volleyball experts to find the right portable volleyball net system for your facility.